Dancehall vs. Reggae: Is there a difference? Most people define dancehall as a genre that stemmed from Reggae. Others contend that Reggae music is the genre, but dancehall is a place or a culture. In this ongoing debate, we analyze these points of view and list the pros and cons of each. Within that context, we uncovered issues that affect the perception of the music as an art-form and its viability as a business. This is a dedication to all reggae lovers and we invite you to share your opinion in the comments. Join the conversation and share based on your own personal interaction with reggae. Click image to download MP3 audio podcast. Headliners Include DJ Mars, Shane Talon, ĀGARD from NYC and More! 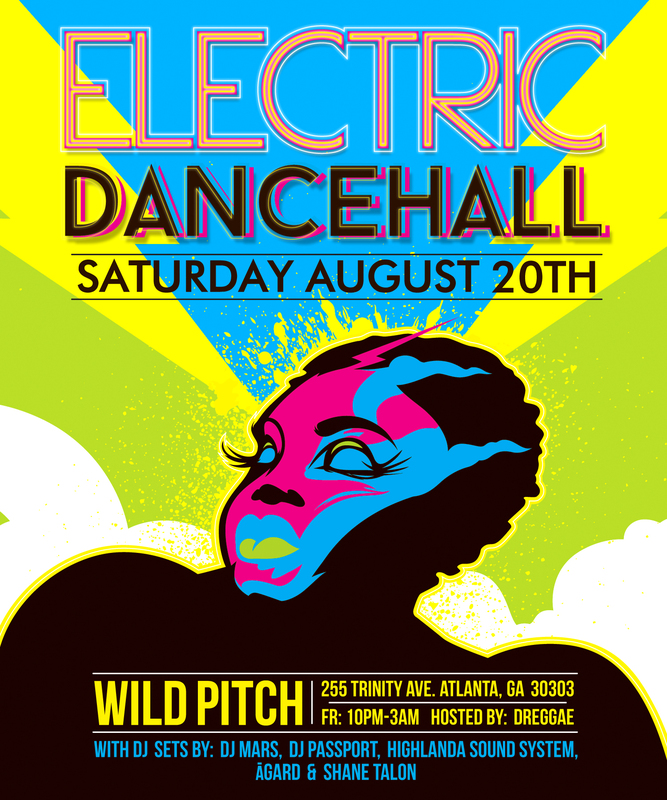 The 1st ever Electric Dancehall Atlanta will take place at the newly refurbished WildPitch Music Hall, located at 255 Trinity Avenue, Atlanta, GA on Saturday, August 20, 2016 from 10pm to 3am. The highly anticipated special event is set to be the premier gathering for the progressive Atlanta Caribbean music and EDM movements, bringing fans together in the downtown area for one night only. Advance tickets can be purchased for $20 at www.electricdancehallatlanta.eventbrite.com. Come be apart of what is sure to be an exciting evening of dancing and socializing. Currently many songs on the Billboard Top 100 feature elements of Dancehall and other Afro-Caribbean genres. Artists like Drake, Rihanna, Alicia Keys, & Justin Bieber have used these same elements to connect with a larger audience. Electric Dancehall aims to present a new way that the world can party by compelling the audience to engage with their music in a more energetic way, forgo their musical or cultural affiliations for one night, and let the DJs cater to their inner dancing urge. Headlining Electric Dancehall Atlanta will be DJ Mars, Shane Talon, ĀGARD, Highlanda Sound, and DJ Passport. The night will be hosted by the genre-bending Jamaican performer and songwriter, Dreggae. “A great melding of worlds is taking place in terms of musical exploration and production. We are excited about bringing together followers of different genres, doing away with perceived divisions, and merging music styles and culture together in a fresh, innovative way for an unforgettable experience,” says Electric Dancehall CoProducer Kahlil Wonda.